Blowers - Hultgren & Strutzel, Inc. 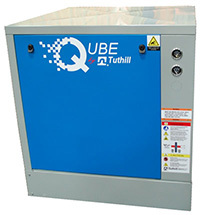 Since 1937, Tuthill Vacuum & Blower Systems (TVBS) has been designing and manufacturing proven M-D Pneumatics products that are solidly engineered, competitively priced, and produced under stringent ISO 9001 quality standards. 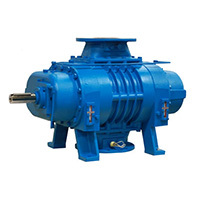 For new blower applications or replacements, TVBS offers one of the broadest lines of positive displacement blower models and vacuum boosters in the industry. Each blower and booster is tested before shipping and carries a factory warranty. Applications for our blowers include pneumatic conveying, chemical processing, gas moving, vacuum boosters or exhausting, food processing, waste treatment aeration, elevated pressures, complete package systems, and more. 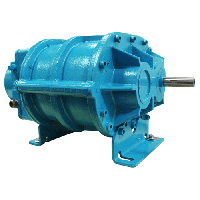 The QX line of blowers are high quality rotary positive displacement blowers with bi-directional rotation. 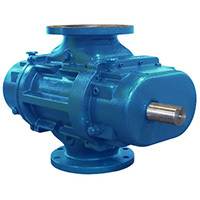 They are highly efficient at high pressure and vacuum with low noise output. Each model of blower we carry has it’s own specs, so be sure to check those our for your application needs. For More Information On Our Blowers, Please Call Us Toll Free At 651-631-0875. Rotary Positive Displacement – CP Series: CP Series air blower, rated up to 18 PSI/16″ Hg vac. Designed to be interchangeable with equivalent sizes of competitive models. Rotary Positive Displacement – PD Plus: Air and gas blower, rated up to 18″ PSI/17″ Hg vac. Premium blowers renowned for their quality dependability and outstanding performance. Rotary Positive Displacement – QX: Air blower rated up to 18 PSI/17″ Hg vac. High-performance energy efficient, low noise line designed for long operation life at maximum operating conditions. Rotary Positive Displacement – Equalizer: Air blower, rated up to 18 PSI/17″ Hg vac. High flow, compact blowers in 4.5″ and 6″ gear diameters. Interchangeable with equivalent sizes of competitive models. Blower Packages: Open and enclosed blower packages for applications like pneumatic conveying and wastewater treatment. Tuthill can also design and manufacture custom blower packages specific to your needs. Vacuum Boosters: Used with all types of vacuum pumps. Utilized in the manufacture of chemicals, petrochemicals, plastics, food processing, and many other applications.